The following form is a generic authorization for credit card use form. 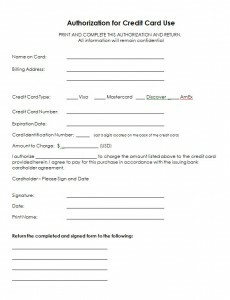 This form is used when a company is looking to obtain the ongoing authority to charge a person, or companies credit card by a fixed amount. The authorization is does not indicate a defined period. 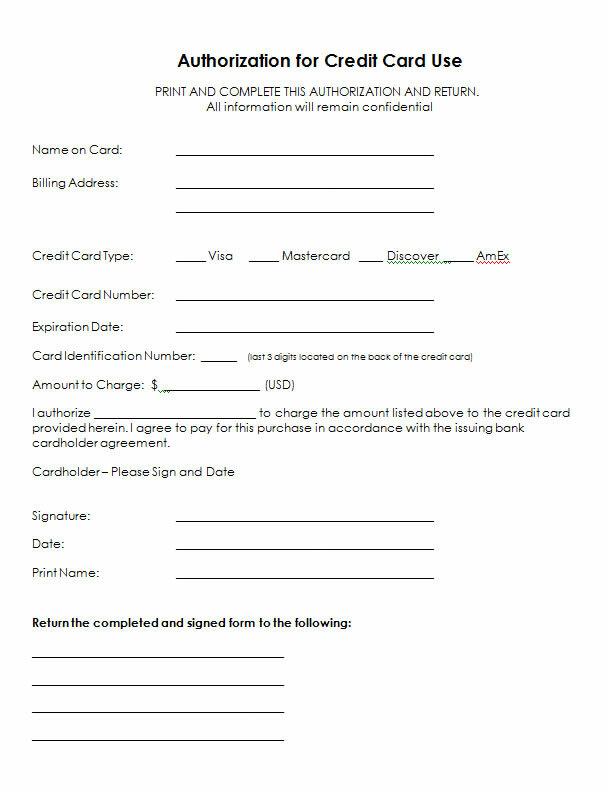 If you are looking for a form to authorize a card for monthly recurring charges, consider our “Recurring Payment Authorization Form“. We hope that these forms are useful for you. If you would like a different format, we would be happy to convert the form and provide the source file within 24 hours. Please e-mail your request using our contact form.